Supportive and collaborative clusters stimulate creativity and product advances. Annual vacations to Utah for snow skiing and bicycling trips opened Chris Mogridge’s eyes to the state’s emphasis on its outdoor and recreation cluster. To Mogridge, Utah’s cluster features resources, partnerships and suppliers are too attractive to pass up. 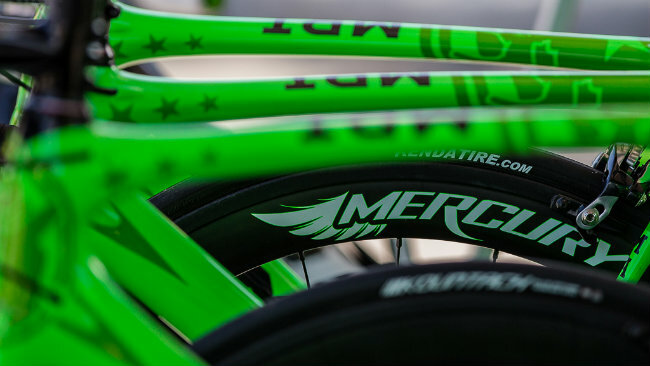 Additionally, as the co-owner of Mercury Wheels, a high-end bicycle wheel line selling to teams and bike shops, Mogridge and his wife, Karen, recognized locating operations to Utah would put them within minutes to numerous outdoors activities, which are extremely important to their lifestyles. 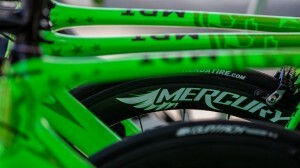 Mercury Wheel’s expansion plans include adding manufacturing to its current design and build activities. In July, Mercury Wheels relocated from Mississippi to Ogden, Utah. Mogridge believes the company was at a disadvantage because there is not a cycling culture in Mississippi, per se. Networking opportunities were limited. Mogridge says Utah offers the opportunity to network over a bike ride or while skiing or within the cluster, where competitors are willing to help each other advance. The bicycle industry is one sector thriving in the outdoors and recreation economy. American’s spend more on bicycling gear than they do on airplane tickets and fees, at $81 billion compared to $51 billion, according to the Outdoor Industry Association. 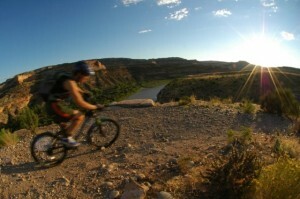 Overall, outdoor recreation product sales totaled $120.7 billion in 2012. The association says 6.1 million Americans’ lives directly depend on outdoor recreation, and the country is globally recognized as the leader in outdoor recreation. The members of the outdoors and recreation industry are focused on innovative applications in regard to manufacturing and product development. Wearable technologies are today’s buzzword. In Colorado, the state’s lifestyle industries converge to create wearable devices to measure activities. The tourism and outdoor recreation, and health and wellness niches come together to measure activity levels. Among the companies involved in wearables is Welltok, based in Denver. Its wellness programs measure activities to get employees moving at their companies. 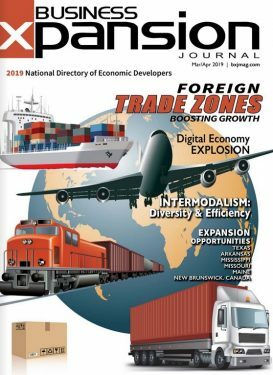 “They bring social media and software technology into the health and wellness and recreation space,” says Sam Bailey, regional industry development manager, Colorado Office of Economic Development and International Trade. The members of the outdoors and recreation industry are focused on innovative applications in regard to manufacturing and product development. Wearable technologies are today’s buzzword. This year’s Colorado Innovation Network summit, scheduled for August, planned to use the Jawbone Up wristband to track activities at the summit. (Jawbone is not based in Colorado.) The effort is another way to highlight the state’s ranking as being the healthiest state in the nation. “Outdoor recreation is a cornerstone of that because it focuses on getting people to move,” Bailey says. Mogridge considered locations such as Boulder, Colo., Southern California, and the state of Oregon, but felt the bicycle cluster in Ogden was a better match for his firm. The city is home to bicycle companies such as Enve Composites (maker of bicycle wheels), Quality Bicycle Products (QBP), Universal Bike Products, Scott USA (frames), TRP/Tektro (brakes) and Volagi Cycles. What’s more, there is an existing talent base to recruit from; and talent is willing to relocate to work and live in Utah. “Every year during Interbike [cycling trade show] we host an event; this year we will bring in up to 30 CEOs for a week, talking about the business benefits,” Peterson continues. “We do a ride all over the state, going through the national parks and end up in Salt Lake.” Executives experience the natural assets, trails and mountains first hand. The state of Utah has spent millions to enhance its outdoor resources, and is using sustainable and renewable resources to build the foundations of a recreation economy. Bal adds in regard to the healthy culture component: “In Portland, people can bike to work, and get outside of the city on the weekends and do what they love, such as surfing, windsurfing, hiking and mountain biking,” she says. She says Portland’s officials have noticed an uptick in outdoors and recreation companies opening sales and marketing offices in Portland to access talent, and then opening retail, office and distribution operations. Examples include Mizuno Running, which recently expanded a design office, adding to its handful of designers. Economic developers are helping the company with storefront improvements. “The company recognizes that Portland is the place to be if they want access to high quality footwear talent that comes from across the country to be here,” Bal says. The state of Oregon is home to more than 800 firms categorized in the athletic and outdoor industry cluster. In the spring, the Portland Development Commission took nine outdoors companies on a trade mission to Japan. The companies spanned the spectrum of the cluster, including craft manufacturers. Bal’s organization partners with an industry council that includes members from Adidas, Columbia and Yakima, among others, to create an action plan for Portland. “Right now the plan focuses on cultivating enterprises — so helping companies grow here,” Bal says. This includes attracting talent or supporting talent within the industry. “They are a huge reason why companies are here, continue to grow and expand here, and relocate here,” Bal adds. In addition, the industry is supported by a peer-to-peer program for entrepreneurs, which covers topics of interest to growing businesses such as online marketing, securing financing, accounting practices and more. There is also an Athletic and Outdoors Young Professionals Group to connect and educate future leaders of the industry. Bailey points out that outdoor recreation is a key industry for the state’s economic growth and vitality. Outdoor recreation activities bring in $13.2 billion annually to companies located throughout the state. The industry generates $994 million in state and local taxes; and it supports 124,000 jobs in the state. Colorado’s outdoors and recreation industry is complemented by the health and wellness sector, and moves into a variety of industries, such as food and agriculture, Bailey points out. For Mercury Wheels, once its rim fabrication gets underway in Utah, discussions will begin with state officials in regard to incentives to support this manufacturing activity. The company is located in a property owned by the city of Ogden and managed by a private group, which allows for favorable costs for rent. Mogridge wants to build a product so unique and new that Mercury Wheels will distribute internationally — including to Taiwan.